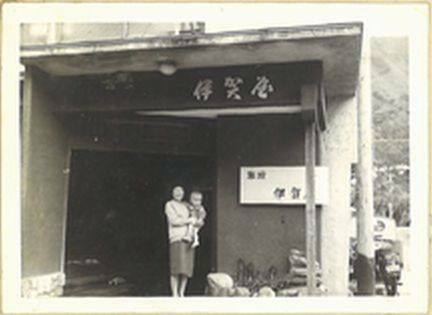 These have been the pillars of our service since our establishment in the Meiji Period over 100 years ago. We hope your stay with us will leave you with many wonderful memories. From a Wholesale Squid Distributor to an Onsen-Ryokan…. Greetings from the Okami (proprietor), Rieko Yamasaki. Igaya Ryokan is located on one of the Amakusa Islands in the far west corner of Kyushu. this has also led to a deep connection between Europe and many more countries around the world. and printing technology, and through these encounters, Amakusa has created its own style and culture. during the Edo period (1603~1867), we were a wholesale squid distributor and made our living from the sea. 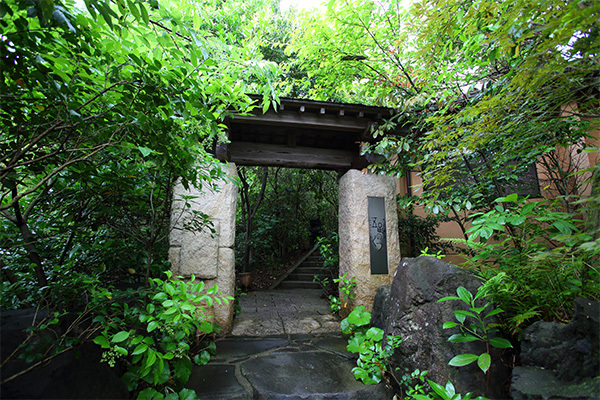 Igaya has grown to become the longest-established ryokan at Shimoda Hot Springs. However, in recent times, I started to hear disappointed voices from the guests that have stayed at the Hot Spring Village. and discussed the matter with the staff to see how we can change to increase our customer satisfaction. Through this process, I realized that many systems had already become redundant but were still used in our ryokan. After much consideration, I have once again realized the importance of our three pillars, and vowed to provide the ultimate customer satisfaction through “quality food, sleep and hot springs”. < “delicious meal”, “peaceful night's rest”, and “quality natural hot springs”> The above three pillars of our service have been passed down for generations since the establishment of this ryokan. 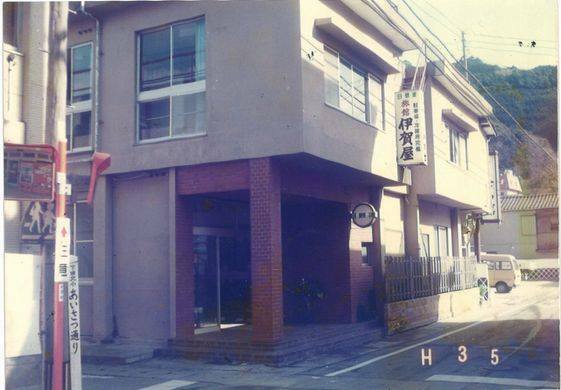 In 2004, Igaya went through a full renovation in order for the long-established inn to adapt to the modern world. Our ryokan still bears the nostalgic traditional feel from the time of establishment, valuing the sense of harmony with the changing seasons. We aim to provide Amakusa's traditional warm and hospitable customer service to all our guests. Japanese-style wooden architecture has been used for the exterior of Igaya to embody the essence from the time of its foundation. Upon entering, you will step in to the lobby paved with Ryukyu-tatami mats (Okinawa style rice straw mats). Solid wood has been used to create the hallway, and all guestrooms are traditional Japanese-style rooms. We pride ourselves in the hygiene and cleanliness of our establishment. We are a small ryokan of only 10 guestrooms but we vow to cater to our guest needs for “ultimate customer satisfaction”. 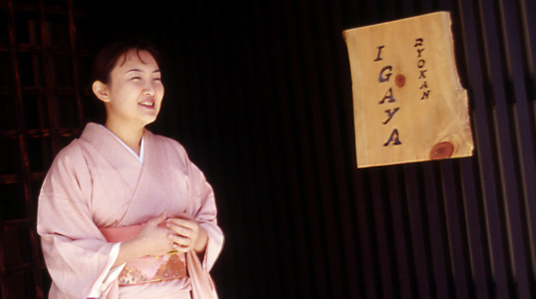 We value your business, and we look forward to serving you during your future stay at Igaya. There used to be a public bath called “Murayu” in Shimoda. By the late 1800s some Japanese inns came to be built around the “Murayu”. “Ryokan Igaya” was established at that time and is one of the oldest inns in Shimoda. I am its sixth generation owner. 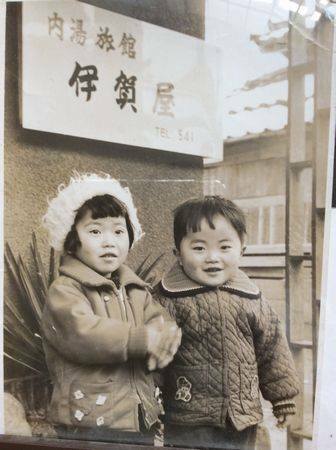 This is a photo of Igaya from the early Showa era (1930s). The man in military uniform on the left is my uncle, the fourth generation owner of the inn. Second from the right, wearing a suit, is my grandfather, the third generation owner. Some people say I look like my grandfather. The man in the center is a businessman who was in charge of the port operations. 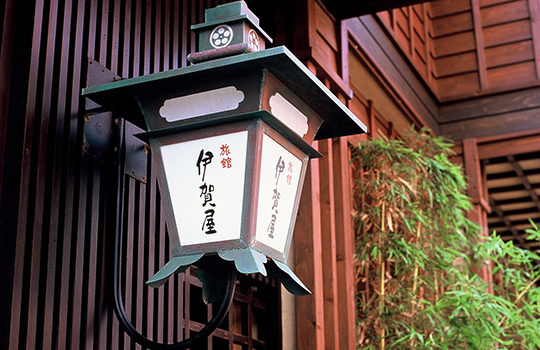 In the Meiji era, the inn signs said “traveler's accommodation” in front of the hotel's name. Also, sotoyu ryokan (inn with water from outside) was written on the sign. It meant that each inn didn't own their own hot spring and utilized hot spring water from “Murayu”. 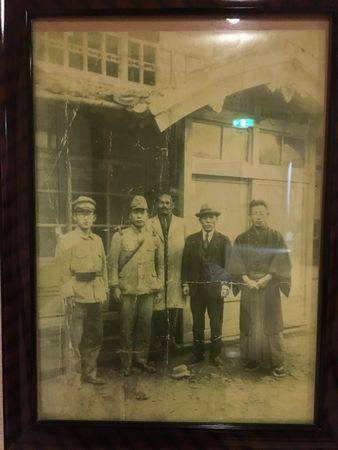 After 1925 the inns each had their own springs and called themselves uchiyu ryokan, meaning their hot spring water came from the premises. and the main entrance was on the street facing Shimoda Shrine. and the Igaya main entrance was altered accordingly. This is Igaya, soon after I took over ownership. It is hard to see in this photo, but it had buildings with pink walls reminiscent of Mexico or Southern Italy. It stood out in Shimoda. At that time, “Flower Inn Igaya” was famous for its rose baths. We still put roses in the bath water, and although it was very rare back then, nowadays this practice has become common at many other inns. Hirofumi Yamasaki, the current and sixth generation proprietor of the Igaya Ryokan, also opened a subsidiary ryokan “Ishiyama Rikyu Gosoku-no-Kutsu”. each equipped with its own private open air bath, opened its doors in 2002. It is located a 3-minute drive away from Igaya Ryokan on a hillside overlooking the East China Sea. 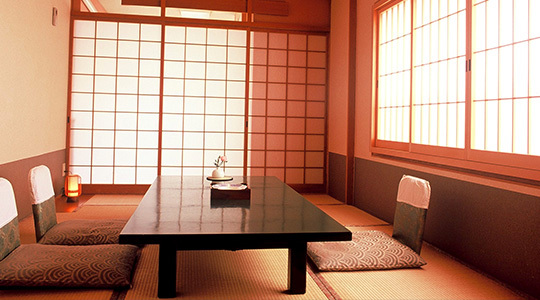 The modern and unique new style of the ryokan has attracted many guests from all over the country. Each room has air conditioning, television, refrigerator, in-room safe, and a bathroom with warm water bidet. Dining only plan from ¥5,000 per person. *Please feel free to contact us in regard to the types of meals offered. *Private rooms are available for day use. The room charge is ¥3,000 (excluding tax) for 3 hours. We accept the following credit cards: VISA, JCB, MasterCard, AMEX, NICOS. COPYRIGHT © IGAYA RYOKAN All Rights Reserved.